Steve Chinn, PhD FRSA, is a visiting professor at the University of Derby, UK. His first experience of teaching maths was as a Doctoral student at the University of Leeds where he taught ‘A’ level maths to first year food science undergraduates, who had failed to pass this exam at school. That was a long time ago! His first post as a teacher was in Somerset, where he taught maths, statistics, chemistry and physics. He subsequently became a Head of Physics and then Head of the Maths and Science Faculty at a comprehensive school. In 1981 he was appointed as Head of a new secondary school for dyslexic boys, where he found that dyslexia seemed to impact significantly on the way students learned, and often failed to learn, maths. This was the start of Steve’s fascination with maths learning difficulties and how to address them. He continues to be a pioneer in this field. During a year as visiting Head of a specialist school in the USA, he studied special education at the Johns Hopkins University and co-authored ‘The Test of Cognitive Style in Mathematics’. He returned to the UK in 1986 to set up his own secondary school for dyslexic students. This school won several awards, including ‘Highly Effective School’ and ‘Beacon School’ status from the Department of Education and the ‘Award for Excellence’ from the Independent Schools’ Association. The school is now a part of the Priory Group. During this time Steve continued to research, write and lecture about maths learning difficulties. 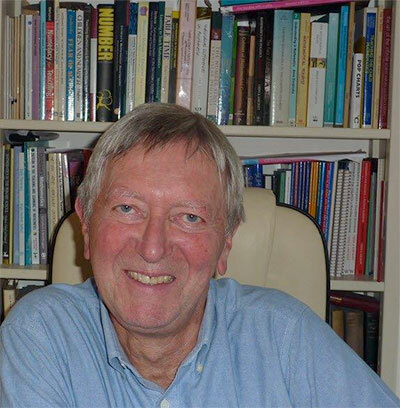 One of his books, ‘The Trouble with Maths’ won the Times Educational Supplement award for ‘Books for Teaching and Learning' and remains a best seller in its second edition. He compiled and edited the ‘Routledge International Handbook on Mathematical Learning Difficulties and Dyscalculia’ (2015) with 31 chapters from leading experts from around the world. He has lectured on maths learning difficulties and presented teacher training in over thirty countries. In 2013 he provided five days of consultancy for the Ministry of Education in Singapore. Steve has won a number of awards, including the Marion Welchman Award for international work on dyslexia the Lady Radnor Award for services to dyslexia. Steve’s online resources for the Times Education Supplement received over 100 000 views and over 55 000 downloads. His webinar for Dyslexic Advantage has had 20,000 views. It has been the research, teaching and listening experiences with students who have difficulties with learning maths that has convinced him that by working with them we can discover so much about how all children can learn maths more effectively.